IN PICTURE: Jack Colback. 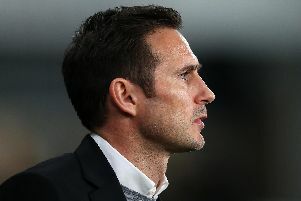 'STORY: SPORT LEAD: Nottingham Forest v Derby County. Sky Bet Championship match at The City Ground, Nottingham. Sunday 11th March 2018. Jack Colback is targeting a promotion after joining Nottingham Forest on a season-long loan from Newcastle United. The agreement also gives Forest the option of making the deal permanent at the end of the 2018-19 campaign. Colback said: I’m delighted to be back. To get promotion is one of the reasons I came back. “Also the support of the manager during off-season. He expressed his feelings about wanting to get me back. “Obviously when I was here first time round, I enjoyed my time here. A great set of lads and the manager has shown a real ambition to get this club in the Premier League and that is something I want to be part of. Colback scored one goal in 16 appearances for the Championship club last term during a previous loan spell. He has played 102 games for Newcastle since joining them from Sunderland in 2014, but none since May 2017.